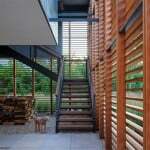 The aim of the architects was to build a house that was modest in size but comfortable enough for a family of four. Every design decision, from the materials to the massing, was made to keep the overall volume compact. 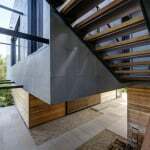 The design mixes a palette of wood and concrete, and its blocky form is accented and lightened by sliding horizontal louvers that also filter excess sun. 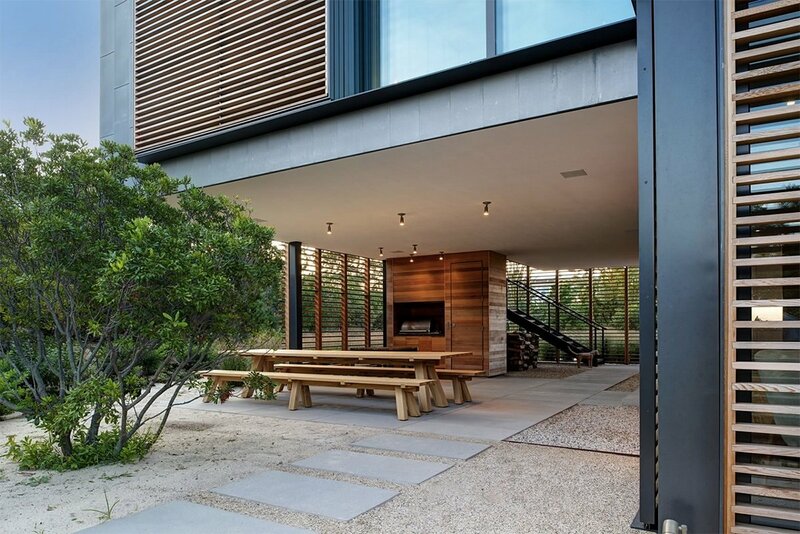 At ground level, these louvers create a translucent boundary with the exterior, providing a sheltered and shady patio area for the residents to enjoy. 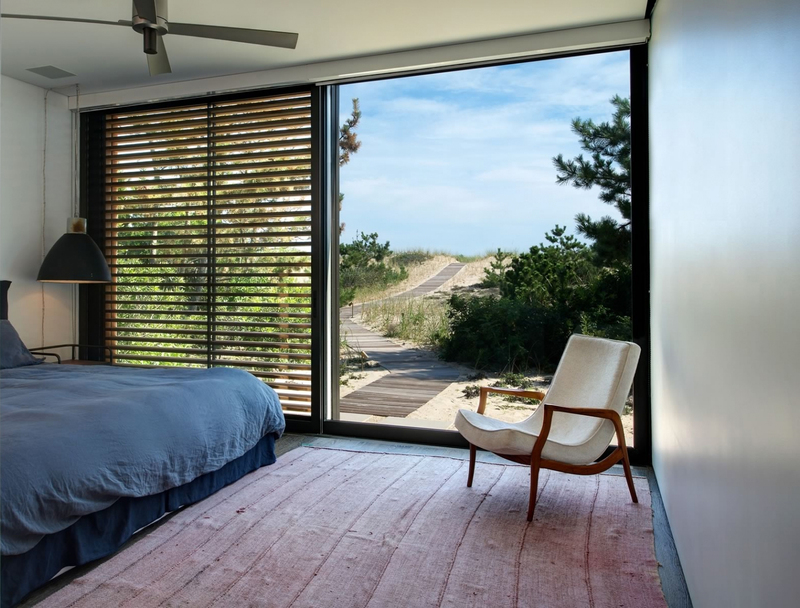 Conversely, at the second level, the master bedroom enjoys a balcony/terrace that’s set up atop the living room’s roof for a more open feel. 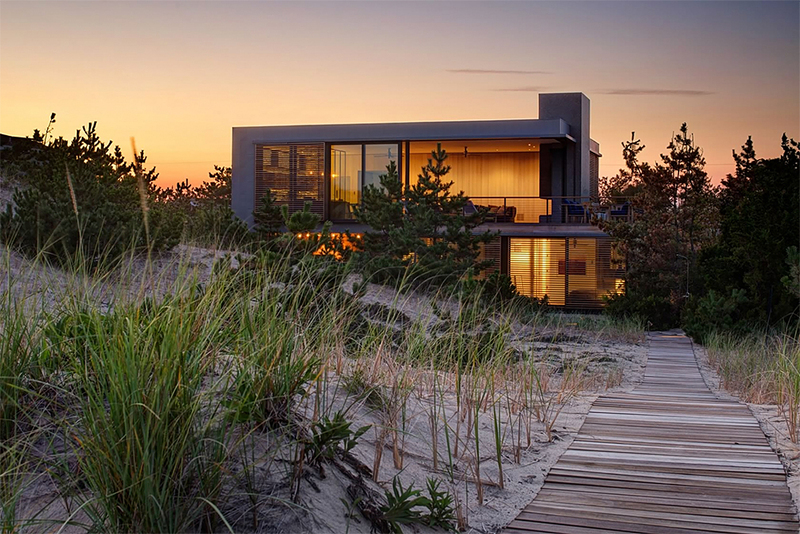 Stelle Lomont Rouhani Architects’ Shore House is an award-winning architectural work that has garnered prizes including the 2013 Hamptons Cottages and Gardens Innovation In Design Award and the 2012 AIA Excellence in Architecture Award. 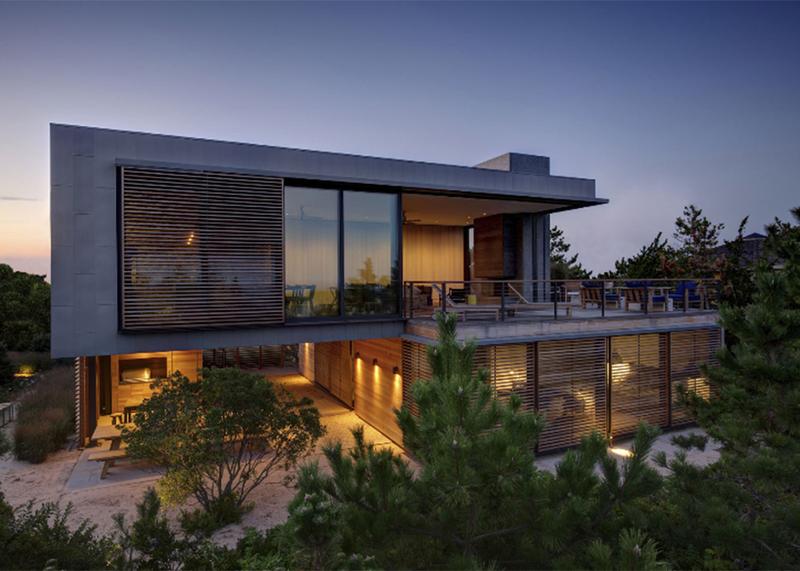 See more stunning homes by Stelle Lomont Rouhani Architects here.